Four people escaped serious injury despite their car plunging down an embankment on the M6. 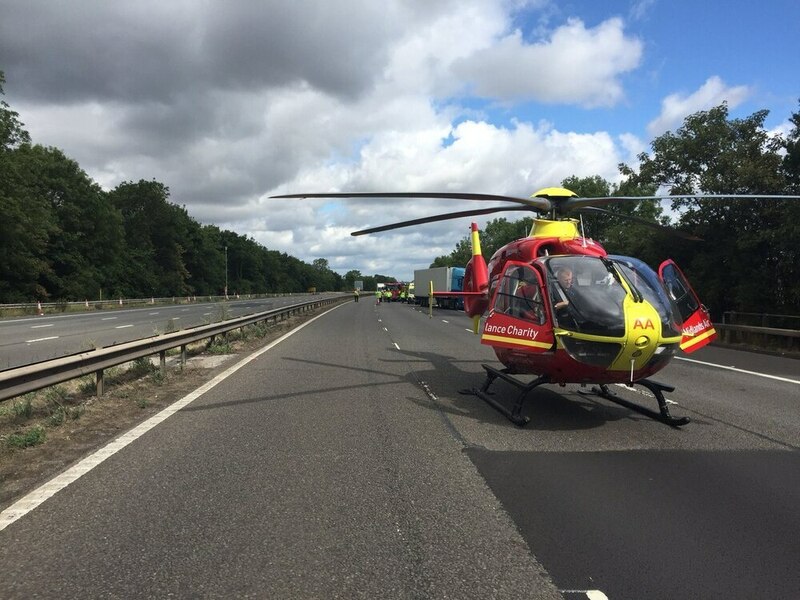 The motorway was closed near Stafford as the Midlands Air Ambulance landed on the carriageway. Emergency services were called to the crash off the southbound side near junction 13 on Tuesday morning. The car was believed to have collided with a lorry before leaving the road. Highways officials closed part of the route for more than two and a half hours. Three women and an elderly man were inside the car when it crashed at around 10.15am. 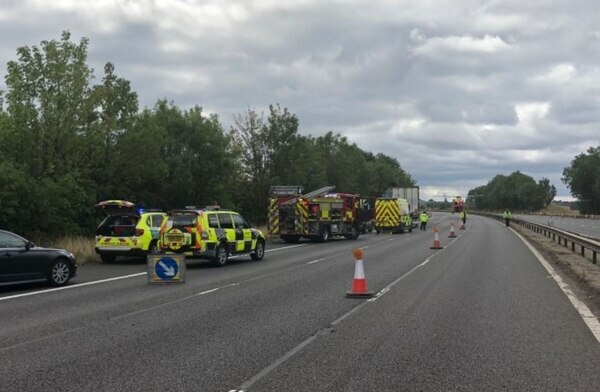 West Midlands Ambulance Service spokeswoman Claire Brown said: “When the emergency services arrived on scene they found a car which had ended up down an embankment at the side of the carriageway after reportedly being involved in a collision with a lorry. “The driver and two of the passengers, all women, had managed to get out of the vehicle unaided. "All three were assessed and treated by crews for a range of minor bumps and bruises before being taken to Royal Stoke University Hospital as a precaution. “A fourth occupant, an elderly man, was still in the vehicle and was quickly assessed by ambulance staff who ruled out any serious injuries but found he had sustained a shoulder injury." He was also taken to Royal Stoke University Hospital. Two ambulances, a paramedic officer and the Midlands Air Ambulance from Tatenhill with a trauma doctor on board attended the scene. The northbound section of the M6 was reopened within an hour after the crash. Gradually lanes on the southbound side were cleared and the motorway was fully reopened by 1pm. Long delays had been reported on the route back towards Stoke.